The Nuclear AMRC and ESI present a free one-day seminar on the use of computational simulation technology across the nuclear supply chain. The day is aimed at everyone interested in the nuclear industry, particularly technical engineers and managers from major OEMs; manufacturing supply chain, power plant operators, and research & development teams. The seminar will highlight technical challenges in the nuclear sector and demonstrate how CAE technology has been used to address some of these challenges. Speakers come from companies including EDF Energy, Rolls-Royce and Clyde Union Pumps, and research institutions including the Nuclear AMRC and TWI. For more information and to register, see the ESI events page. An interim report from the Office of Nuclear Regulation has found that the ongoing crisis at Fukushima should have no major implications for the UK nuclear new-build programme. In the report, the UK’s chief inspector of nuclear installations Mike Weightman concludes that there is no need to curtail the operations of UK nuclear plant, but that lessons should be learnt from the events in Japan to further improve safety. The UK nuclear power industry has reacted responsibly and appropriately in its response to the Fukushima accident. Consideration of the known circumstances of the Fukushima accident has not revealed any gaps in the Safety Assessment Principles for nuclear facilities in the UK. There are no significant weaknesses in the UK nuclear licensing regime. 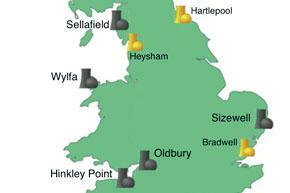 There is no need to change the present siting strategy for new nuclear power stations in the UK. There is no reason to abandon plans to have several reactors at single sites, given the design features of new reactors and adequate design and operational safety procedures. Ways to improve communications and relationships with the public and other stakeholders. 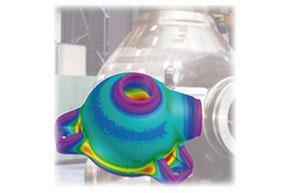 The safety case for multiple reactors. Plant and site layout of existing and new facilities. The design of new spent fuel ponds. The performance of concrete, structures and equipment to seismic events. The need and ability to provide longer-term coolant supplies in the event of severe disruption. Severe accident contingency arrangements and training. Analysis of accident sequences for long-term severe accidents. Weightman noted that, while the designs for proposed new-build in the UK are very different to the 40-year-old designs at Fukushima, and the UK has no equivalent risk of extreme natural events, there was no room for complacency. The report was commissioned by energy and climate change secretary Chris Huhne in March. “I am pleased that today’s report confirms that the UK’s current safety arrangements are working,” Huhne said. “I want regulators and the industry to work together, so that we continue to improve our safety regime. Weightman’s final report, covering implications for all nuclear installations in the UK and incorporating input from industry and other interested parties, will be published in September.